You can click on a column in the graph above to see the detailed forecast below. Auroral activity will be quiet. 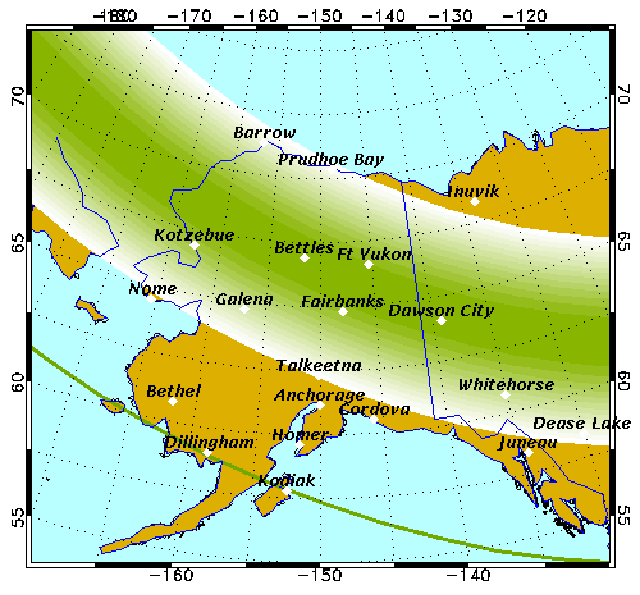 Weather permitting, quiet displays will be visible directly overhead from Barrow to Fort Yukon and visible low on the horizon from Fairbanks to as far south as Nome, Talkeetna and Whitehorse, Canada. 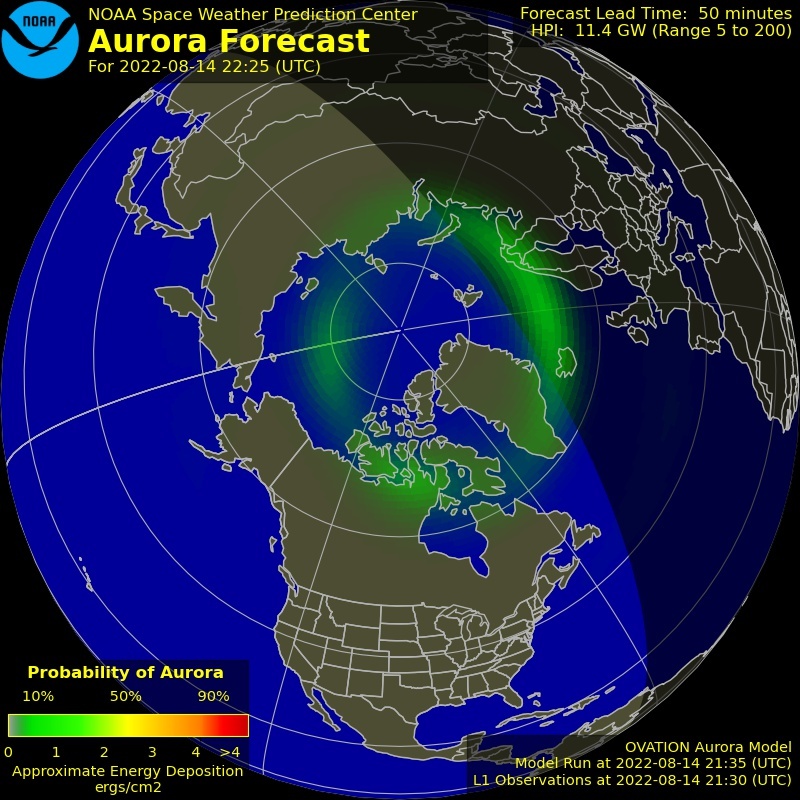 Auroral activity will be low. 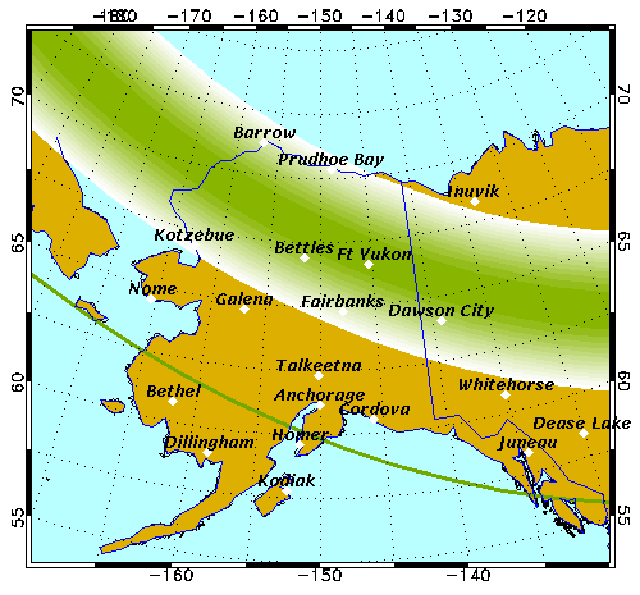 Weather permitting, low-level displays will be visible overhead from Barrow to Fairbanks and visible low on the northern horizon from as far south as Anchorage and Juneau. The Aurora Borealis (Northern Lights) forms when charged particles emitted from the sun during a solar flare penetrate the earth's magnetic shield and collide with atoms and molecules in our atmosphere. These collisions result in countless little bursts of light, called photons, which make up the aurora. The KP Index (KPI) goes from 0 to 9 as the geomagnetic strength increases. KPI 0 being no aurora while KPI 9 being a major geomagnetic storm likely visible all the way to California and even to France. The forecast above is provided by the Space Weather Prediction Center. 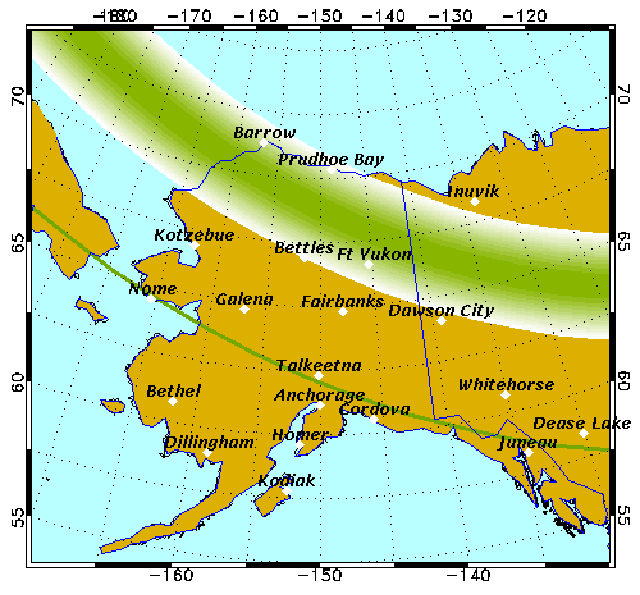 Their OVATION Aurora Forecast Model shows the intensity and location of the aurora predicted for the time shown at the top of the map. Below is the latest space weather news published by Suspicious 0bservers. 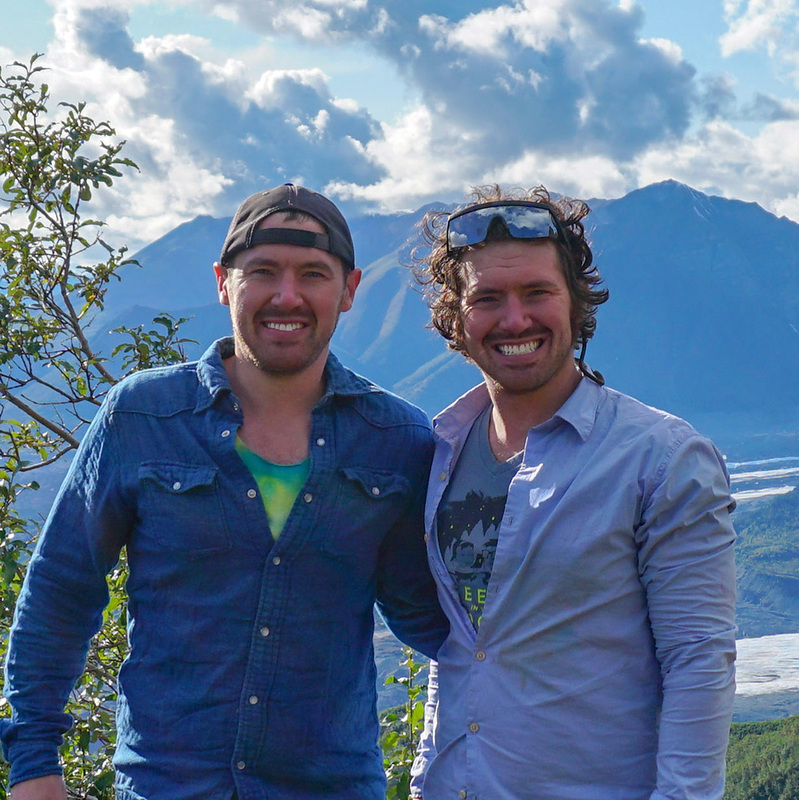 This is the best video blog for space weather and its impact on the Earth. A new video is published every morning on YouTube before you wake up. Eyes wide open, be safe everyone.